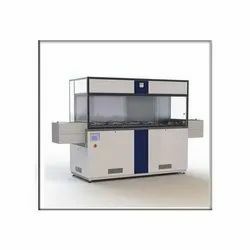 Providing you the best range of ultrasonic medical device cleaner, digital ultrasonic cleaner, automatic ultrasonic cleaner, digital ultrasonic cleaning machine, laboratory cleaning machines and manual nano cleaning equipment with effective & timely delivery. Owing to our vast experience, we have been successful in catering to the requirements of our esteemed clients by Ultrasonic Medical Device Cleaner. The offered range of cleaners is fabricated using high quality components and spare parts. Our range is used for cleaning small and miniature components. 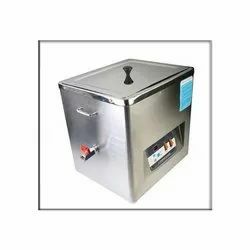 We have emerged in offering our valuable customers a wide array of Digital Ultrasonic Cleaner. The range of cleaners offered by us is available a big tank and special basket. Also, this cleaner is available with mild steel powder coating housing. Besides, we offer these cleaners in various specifications. We offer Automatic Ultrasonic Cleaner. The equipment we offer removes oil, corrosion, swarf, grease and abrasive dust from surface of components. All these products are widely demanded in precision engineering, biomedical sector, ophthalmic lenses, aerospace, electronics and vacuum metallization. 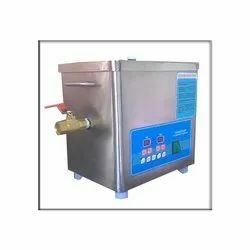 We offer Digital Ultrasonic Cleaning Machine. The range of machines offered by us is manufactured high-quality city equipment and advanced technology. 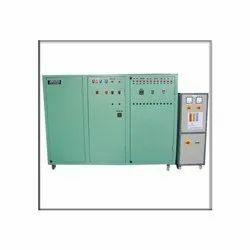 All these machines are offered by us in various specifications. 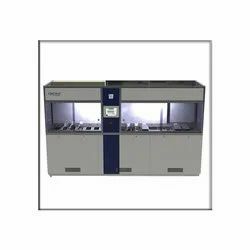 We offer Laboratory Cleaning Machines. These machines are manufactured under the strict surveillance of our expert engineers employing advanced technology. Furthermore, we customize these as per clients' requirements. We offer Manual Nano Cleaning Equipment. These cleaning equipment are manufactured keeping in mind the variegated requirements of customers. Our experts ensure to use finest quality material in the manufacturing process. Solid state design with auto tuning. 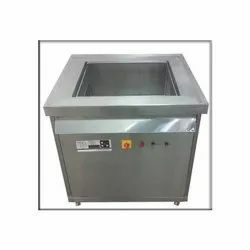 Tank clear size 20" x 12" x 12", 20" x 12" x 22"
Our company is known for bringing forth manual or fully automated Medical Ultrasonic Cleaning Equipment, which are suited ideally for aqueous and solvent-cleaning processes. 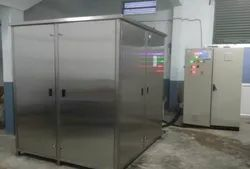 An ultrasonic cleaning process with the help of ultrasonic cleaning equipments is a mark of high quality cleaning of varied industrial components. Ultrasonic cleaning is followed by hot air, IR, and vacuum drying processes. In addition to this, we supply a chain of chemicals which are required in the cleaning process. 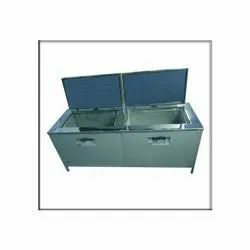 We also provide a customized range of these ultrasonic cleaning systems or equipments. We offer Ultrasonic Cleaner Machine (Three Stage Ultrasonic Cleaner Machine). In the manufacturing process, we make sure that qualitative components and other material are used. Also, we customize these machines as per the requirements detailed by clients. We offer Ultrasonic Cleaners with Automation System. These cleaners are made available to customers along with automation system. Our experienced engineers employ advanced technology in the manufacturing process following industry set standards. 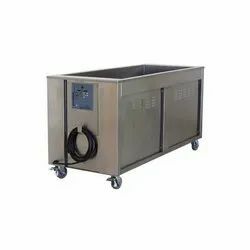 We offer Ultrasonic Cleaning Equipment. These equipment are manufactured at our manufacturing unit using stainless steel of best quality. Also, we inspect these on certain well-defined parameters of quality to ensure their defect-free nature. 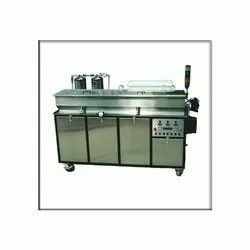 We provide an inclusive assortment of Ultrasonic Cleaning Machine. While manufacturing, our experts keep in mind that qualitative material is brought into use. 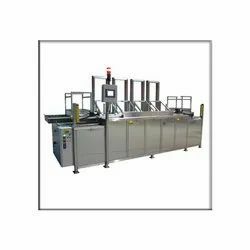 Besides, we also customize these machines as per the detailed specifications of our respectable customers at most competitive rates. We offer Ultrasonic Cleaning Systems. These systems are manufactured using high-quality stainless steel following industry set guidelines. Moreover, we pack these in premium quality material to ensure their safe transit. We offer Ultrasonic Stencil Cleaner. Manufactured using high-quality material, our range is utilized for cleaning stencils. We offer these stencil cleaners to customers in variegated specifications at market-leading rates as per their requirements. 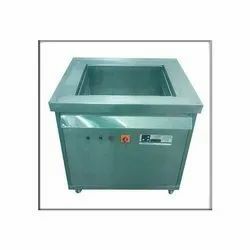 Electrical supply 230 V A.C.
We offer Single Stage Ultrasonic Cleaner. These technologically advanced cleaners are manufactured under the close supervision of our expert professionals using high quality material. The material used in the manufacturing process is sourced from reliable vendors. Tank clear size 7" x 7" x 6",7" x 7" x 12"
We offer Multistage Ultrasonic Cleaning Machine. 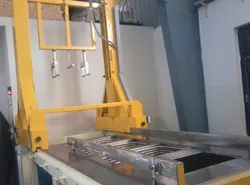 We manufacture the offered machines following the standards and norms of the industry. Also, we offer customization facility to clients at market leading rates. We offer Hospital Ultrasonic Cleaner. Manufactured using excellent quality components and advanced technology, these cleaners are in adherence with international quality standards. Prior to dispatch, we inspect these on certain parameters of quality. 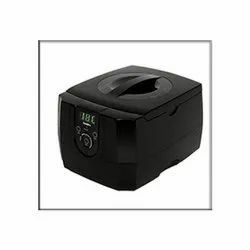 We offer Ultrasonic Parts Cleaner. The cleaner made available by us is used for cleaning industrial parts such has nut, engine filters, aircraft parts, bolt, and hydraulic filters. Besides, we offer these in various specifications. 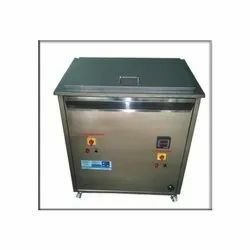 We offer PCB Ultrasonic Cleaner. 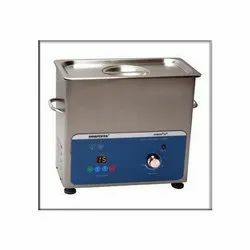 Offered ultrasonic cleaners are manufactures as per the specifications detailed by clients. Our experts do not compromise with quality and use high-quality material in the manufacturing process. 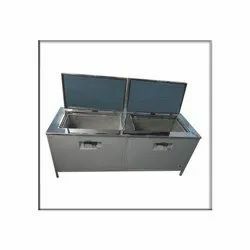 Tank Size 10"x7"x8" to 46"x22"x28"
We offer Optical Ultrasonic Cleaners. To manufacture these cleaners, we make sure that qualitative material is used that is sourced from reliable vendors of the market. Besides, we customize these cleaners on the basis of the specifications detailed by clients. 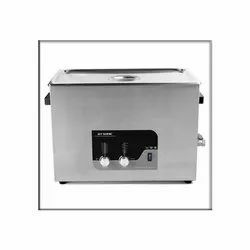 We offer Multistage Ultrasonic Cleaner. The offered cleaners are manufactured employing water based neutral cleaning media technology. Furthermore, we customize these on the basis of the specifications of our esteemed patrons. 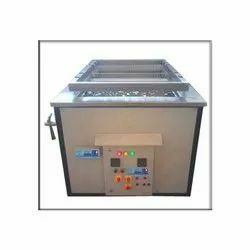 We offer Automatic Ultrasonic Cleaning Machine. Our procuring agent's source optimum quality components and spare parts for manufacturing these machines. Besides, we make sure that the consignments are timely delivered at customers' destinations. 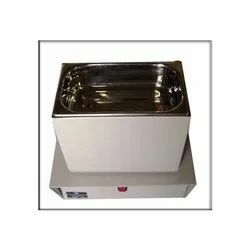 We offer Metal Ultrasonic Cleaner. Available in various specifications, these cleaners are in tandem with international quality standards. The offered range of cleaners remove the contamination from the metal products. We offer Surgical Instruments Cleaning Machine. 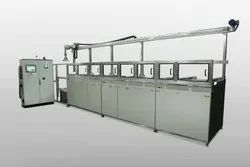 These machines are fabricated at our manufacturing unit utilizing advanced technology. Owing to their optimum quality, these machines are highly demanded by clients. 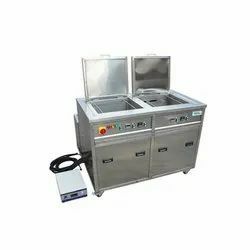 We offer Ultrasonic Cleaning Machine (Two Stage Ultrasonic Cleaning Machine). All these cleaning machines are manufactured under the close supervision of our experienced professionals. Our experts ensure thigh-qualitylity components are employed in the manufacturing process. We offer Ultrasonic Mold Cleaning Machine. These ultrasonic machines are manufactured at our state-of-the-art infrastructure facility. Owing to our expansive distribution network, we make sure that the consignments are timely delivered at clients' destinations. 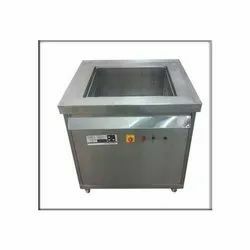 We offer Heavy Duty Automatic Ultrasonic Cleaner. We offer SS Ultrasonic Cleaner.